Yes, it’s official – welcome to the brand new blog of John Morris Photography! The new design is now easier to read, includes commenting features, and of course, has more space for bigger pictures. I would love to hear your thoughts on the new look so if you have a moment, please drop me a note and let me know what you think. This blog is where I will be posting my most recent work, personal thoughts and adventures. I am excited to begin sharing my latest work with you – check back often for more updates! Here’s a peek at the previous JMP blog. As you can see, the layout was similar but the main difference (and a big one for me) is that the layout before was limited to much smaller images. Aside from that, I was pretty content with the look. WordPress does have some great looking themes, but I finally decided that I wanted something a little more custom. One of the things I can never get enough of is the ocean. It has been a few months since my last trip and I’m already feeling the urge to take another trip. 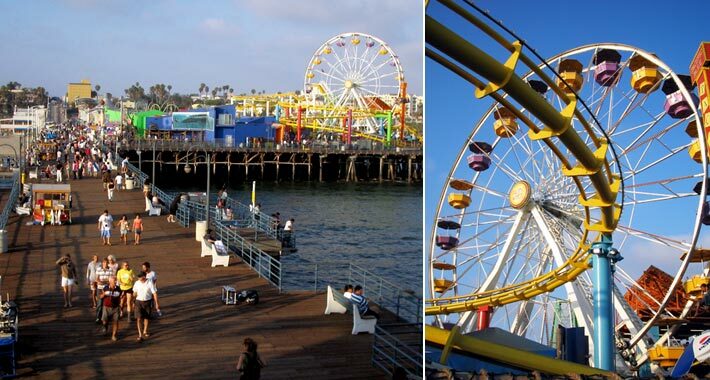 Here are a couple of snapshots from my last trip to Santa Monica.